FS ninja academy, under its adventure wing Potohar adventure club, successfully managed a 5 days adventure camp in the heights of lalazar and mushkpuri. The camp was conducted from 28th june to 2nd july 2013. 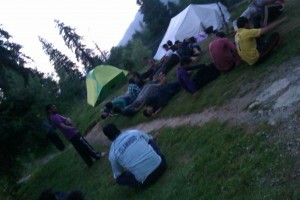 Main activities covered in the camp were hiking/trekking, yoga, physical fitness, self defence, archery, horse riding, etc. Gallery will be updated soon, stay tuned.